Sweet Soft Smudge: One and Two year(s) old! One and Two year(s) old! I really need to start writing posts as soon as I think of them, rather than think about it. Sorry you all haven't heard from me in well over a month. I've been fairly well, no big changes in our lives. Except... I have a one-year-old! And a two-year-old! I'm still trying to adjust to the fact that Amelia's birthday has been and gone. It felt strange being able to cuddle her for her birthday, as opposed to visiting a grave. Then again, I was so busy on Ianto's first birthday (remember, "Cookie" had flipped breech?) that we didn't even get to him. Having an actual child to sing happy birthday to is a hundred times better, too. For Ianto's birthday this year, I decided to make up for last year and held a very small party by his graveside. Yes, it says "Happy 2nd Ianto"... I couldn't fit the word "birthday" on, okay? When we got there, I threw some glittery things around that said "Happy Birthday" while Scott put down a picnic rug. We sang the birthday song, and had a cake I'd baked and decorated. Amelia was rather fond of it, which gave me hope for her own party since I was making hers as well. After that, we just packed up and left, leaving a piece of cake for the birthday boy. At least graveside parties are easy and not too stressful! I had to do a rainbow cake, didn't I? You'd be disappointed if I didn't. And so, to Amelia's birthday. I had stressed for weeks - nay, months - over the details. I took over six hundred photos to get the invitations perfect. I bought two different editions of the Womens Day Kids Birthday Cake Book. I purchased a lot of different tools to put the cake together, and I pored over recipe sites for food ideas.I had to get it perfect. The day approached fast, faster than I'd wished it. I spent most of the preceding two weeks collecting ingredients and supplies. I looked up how long things would last in the fridge, and pre-made a few things. I worried that I had too many sweets and not enough savouries. But my main concern was The Cake. I had originally decided on the merry-go-round cake - challenging, but pretty - but soon changed my mind to something simpler. The One Shaped Cake. It looked easy, and the photo they had in the book was adorable. But it didn't suit. I scrabbled to decide on a theme for this cake, until the Ponies arrived in my life. 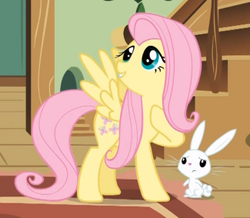 Yes, somewhere in the interim, I became a fan of My Little Pony: Friendship Is Magic. After a few weeks of watching these adorable creatures, I decided to theme Amelia's cake on my our favourite character - Fluttershy. The day before the party, I started baking. Cake one didn't rise properly. It was risen on one side but not the other. I started panicking a little. Cake two was substantially better, almost perfect. Cake three... Cake three didn't play nice to begin with, not baking all the way through, but I popped it back in and kept a close eye on the oven. Perfection. I let them chill a while, and cut them into the correct pieces later that night before doing a "crumb layer" of icing. Midnight came, and it was Amelia's birthday. I tiptoed into our bedroom, climbed onto the bed, and gently kissed my beautiful one-year-old on the forehead. She stirred a little, but didn't wake, and I went back to what I was doing in the kitchen, going to bed myself an hour or two later. End of Part One. Part Two (The Party) coming tomorrow!